On 28th March, 1942, a young Australian man named Critchley Parker walked into south-western Tasmania’s wilderness in search of an area that could become a new home for Jewish refugees. He was not to return. Many who hear the story are bewildered by Critchley’s tragic adventure. But when you consider — this was a young man with a prominent and successful father but no career of his own, sidelined from world affairs by a “weak chest”, passionate about wild places, inspired by the haunting beauty of Bathurst Harbour and captivated by a woman of fragile beauty — then maybe his wild Romantic ambition is easier to understand. Critchley Parker was born in Melbourne in 1911. His father was a wealthy publisher and author of a book called Tasmania: the Jewel of the Commonwealth, in which he advocated development of Tasmania’s untapped mineral resources. Critchley had no occupation, probably living on an allowance from his parents (Rubinstein, 1990). He was a keen bushwalker, both at home and in Europe. As a young man he had trekked across Lapland, eating preserved reindeer meat and braving severe weather. But he was “weak chested”. He suffered from tuberculosis, and at the onset of the Second World War had been declared unfit for active service. Parker had formed an attachment to Melbourne journalist Caroline Isaacson (Parker called her Lynka), the women’s page editor of The Age, a “daughter of Israel”, an activist and Zionist (Rubinstein, p61). From his later journal entries, it appears he was in love with her and deeply committed to the relationship. “[She had ] a look of great frailty, blonde, blue-eyed good looks, and far-away voice, the complete picture of the clinging vine. No one could look and sound so helpless … and no one was ever less so … She was an exceedingly pretty woman who could by some peculiar magic get people to run hither and thither, doing the most unlikely things” (Pamela Ruskin, 1962, in Rubinstein). “a rather ordinary, almost bashful, young man, whose words at first tumbled out in a curiously confused, hasty manner. But he spoke with earnestness, enthusiasm and conviction” (letter by Isaac Steinberg, quoted in Rubinstein). Caroline’s daughter Joan remembers Parker as a “sensitive young man with a bit of a frail look about him, more of an English look.” He was quiet, and not quite suited to the rough and ready Australian lifestyle (in Gardner, 2016). Caroline was passionate about finding a homeland for Jewish refugees and Parker seems to have been swept up in the cause. At Caroline’s home, in the early days of 1941, Parker met St Dr Isaac Steinberg, a Russian-born Jew who had fled the increasingly repressive structures set up after the Russian Revolution. Steinberg had begun the Freeland League, lobbying for the creation of a settlement for 75,000 Jewish refugees in the East Kimberleys. He had won some support, but, with the escalation of the Second World War, the idea had been shelved. 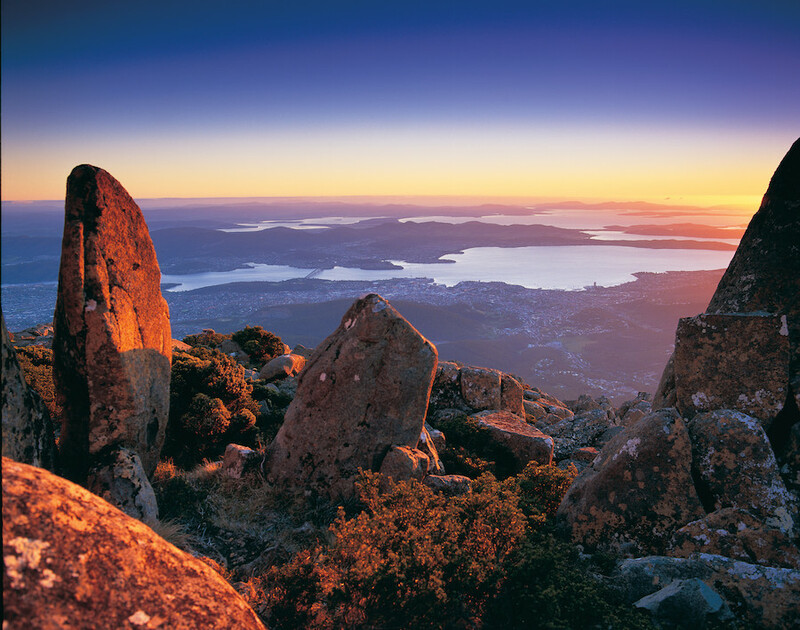 Combining his enthusiasm for Caroline’s cause with his love of wild places, Critchley approached Steinberg, proposing that a Jewish settlement might be created in south-western Tasmania, in the area around Port Davey and Bathurst Harbour. It is likely Parker was influenced by his father’s ideas, and he was also familiar with the work of Mark Milstein who had dubbed the area of south west Tasmania as a ‘treasure chest’ (Rubinstein, p57). “What a magnificent centre this will be for the settlements, one of the finest harbours in Australia, a country rich in mineral wealth and water power” (Parker’s journal, quoted in Rubinstein, p59). Much of our knowledge of Parker’s romantic vision comes from his journal, in the possession of Mr Peter Isaacson and studied by Hilary Rubinstein and others. The area Parker dreamed of developing was bounded on the south by the Antarctic Ocean, stretched east to the D’Entrecasteaux Channel (with a port at Recherche Bay), west to Port Davey and as far north as Birch’s Inlet on Macquarie Harbour. It is wild, wet, empty country. Iola Bay on Port Davey with Helsal IV from Hobart Yachts. Photo by Jimmy Emms. Parker believed surveys would establish mineral resources and agricultural potential. He envisaged that the settlement could be run on an economic system similar to the Soviet one. He interested Steinberg in the idea and on 12th January, 1941, the two flew to Hobart. Parker was so excited he couldn’t eat and became airsick. They were joined by Caroline Isaacson and photographer Bert Pearl. Parker showed them Dover, Huonville, Hastings, and Ramsgate. “In the city … he wore a black coat and stiff hat and his face expressed keen concentration … Here, he bustled about hatless in a simple shirt, like a host who wished to throw all his doors wide open for his long-awaited guests” (quoted in Rubinstein, p63). When Australia fell into war with Japan, Parker’s project lost the attention of the Tasmanian government and of Steinberg. Parker waited. In the summer of 1942, he walked through the Cradle Mountain-Lake St Clair Reserve, and visited Frenchman’s Cap and the Jane River gold mining settlement (Hobart Walking Club, 1943). But he did not lose sight of his dream for a Jewish safe haven in Tasmania. “The issue for Jews was beyond desperate by 1941. The Germans were already well along the path of the total extermination of Jewish communities throughout central and eastern Europe” (Webberley, 2014). At this point, Parker showed great dedication, determination and courage. In May 1942, ignoring the pleas of his parents and the advice of officials, he set off alone for Port Davey to explore the area and undertake preparatory work for the settlement he dreamed of. At the time, southwest Tasmania was in the grip of a harsh winter. Parker spent three weeks at Melaleuca in the hut of fisherman and tin miner Charlie King, at Melaleuca near Bathurst Harbour. Charlie King knew the area intimately. He had worked in the south west for decades, and was a great naturalist, devoted to Tasmania’s wild places, often hosting bushwalkers and artists in his hut and garden (Grant, 2011). According to his granddaughter, Janet Fenton, King doubted Parker’s bushcraft and survival skills and tried to talk him out of his mission. He didn’t succeed. “At the end of March, grandfather rowed his ­unusual guest 14km downriver in his Huon pine clinker-built dinghy.” Janet Fenton 2003, in a talk at the Salamanca Arts Centre, quoted in Gardner, 2016. King landed Parker beneath Mt MacKenzie. He set off in high spirits, carrying his rucksack. It had been agreed that if Parker wished to discontinue his journey, he would make two smoke columns by firing button grass on Mt MacKenzie. That would be visible from Melaleuca and King would row across to pick him up. He explored possible sites for towns and industry. On finding an inlet with many swans, he decided his settlement could be named Poynduk, which is ‘swan’ in the local Aboriginal language. On the third day, the weather turned. The Crossing River was swollen by flood and, unwell, Parker was forced to turn back (Hobart Walking Club, 1943). Struggling in rain, hail and violent winds, he returned to his base near the shores of Port Davey and sent the distress signal. Mist made the smoke impossible to see. “Grandfather kept an eye out, but saw no smoke,” Janet Fenton, 2003, quoted in Gardner. “8th April, Three times on different days I have made this signal when the weather has allowed it to be seen but as there has been no response he cannot have seen them” (quoted in Rubinstein, p65). From this point onwards, events are unclear, but it seems that Parker experienced a combination of error, bad luck and ill health. He discovered he had only two boxes of matches instead of four. He accidentally burnt one whole packet and many of the remainder were ruined by damp. By the seventh day Parker suspected he had pleurisy. He lay his sleeping bag on a bed of bracken and surrounded the tent with brushwood for warmth and to protect his food from animals. Weakening by the day, Parker passed the time by writing in his journal, describing his vision for the Jewish homeland he was to establish. He wrote of ‘principles of racial tolerance and international brotherhood’, envisaging a great university, with scholarships given to peoples of the world, including Burmese, Aztecs and ‘African negroes’. Farming and all ownership were to be collectivised. “A committee of experts will determine the amount of food, clothing, heat, amusement, etc At the beginning of the year a group of experts will meet and decide what is to be done during the year and subsequently (Soviet Five Year Plan)” (Parker’s journal). He wrote of a 35-hour working week, a month’s vacation on full pay and recreational facilities for the workers. Settlers would begin by mining for gold, tin, copper, coal and oil, and eventually become self-sufficient. There was to be flax and fur farming, fish canning and processing. The settlement would manufacture wool and cotton goods, perfumes, liqueurs, leather goods and fashion accessories. This was a lonely and seriously ill young man, alone in a tent in one of the remotest places in the world. He comforted himself with his visions, and he had time to elaborate them. Poynduk would be a prosperous and sophisticated homeland. Dutch Jews would assist with dykes and drainage and Germans would build roads. There would be a shipyard, medical facilities, schools, hydro-electric plants, kindergartens and parks. Steamers would take passengers on cruises to the Antarctic. Buildings might be designed by Le Corbusier. There would be a regular trade fair, the Pacific Fair, and annual Tasmanian Games, which would include sports, but also readings of plays and poetry, music, art, weaving and pottery. There would be eisteddfods and oratorical contests. After three weeks in the tent, Parker was living on water and aspirin. It is thought that he survived 54 days. Charlie King and a friend Harry Evans had attempted to follow his tracks, but after three days they had lost them. Another search party found only a biscuit carton. At one point, Parker heard a distant engine, but was too weak to respond. A boat passed by, but didn’t see his tent. He was not afraid of dying. On 4th September a party of fisherman from Bellerive, sheltering from severe weather, discovered a small cloth bag on a stick with the word “Help” written on it. Nearby was Parker’s tent, shredded to ribbons by the weather, with his remains still inside the sleeping bag. They found his rain-soaked journal, his compass, camera and equipment and a wallet of bank notes. “When they found that terrible vision of his corpse in his sleeping bag … he’s surrounded by all these notes of his diaries, with … detailed plans for the economy, for the buildings … this mad, crazed, cracked dream of this city state” (Richard Flanagan, ABC, 7.30, 2010). At the inquest it was established that Parker had died of starvation and exposure. Today, Parker has a lonely grave set at the foot of Mount Mackenzie, overlooking the beautiful tannin-stained waters of Bathurst Harbour. It is set with local white quartzite stones and a marble plaque. Janet Fenton, granddaughter of Charlie King, continues to tend the grave. This article draws extensively from the work of Hilary Rubinstein, who studied Parker’s journals and in 1990 published: “Critchley Parker (1911-42): Australian martyr for Jewish refugees.” Journal of Australian Jewish Historical Society, v XI, Part I, pp 56-68. Gardner, Rex (2016), “Bathurst Harbour haunted by vision of Critchley Parker Jr to establish new homeland for European Jews” Sunday Tasmanian. March 27, 2016. Hobart Walking Club (1943), “Critchley Parker”. The Tasmanian Tramp, no 6, p 5. Rubinstein, Hilary (1990), “Critchley Parker (1911-42): Australian martyr for Jewish refugees.” Journal of Australian Jewish Historical Society, v XI, Part I, pp 56-68. Steinberg I. N. (1947), Australia — the Unpromised Land. London: Victor Gollacz.